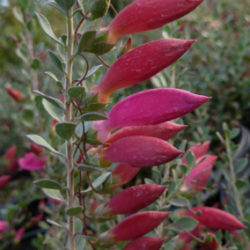 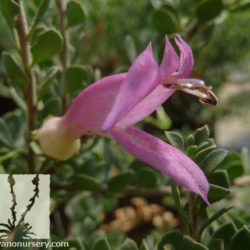 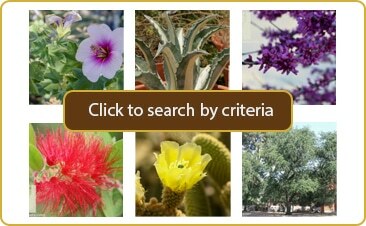 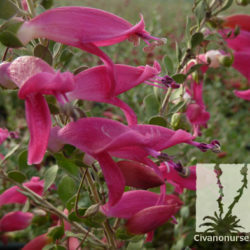 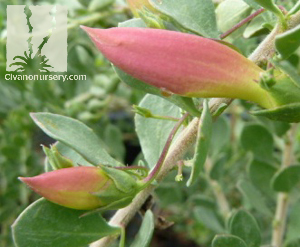 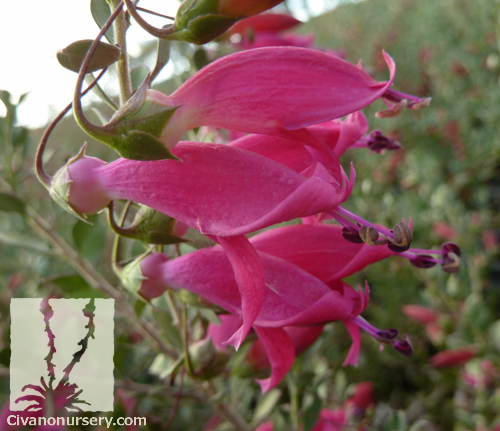 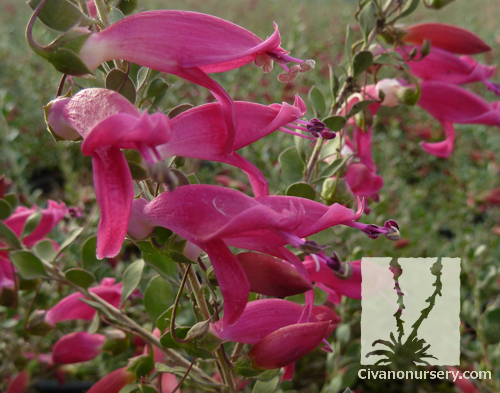 Here at Civano Nursery, we’re not sure who loves the Valentine Emu Bush more; the snowbirds or the hummingbirds! 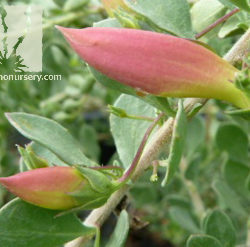 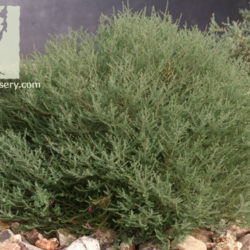 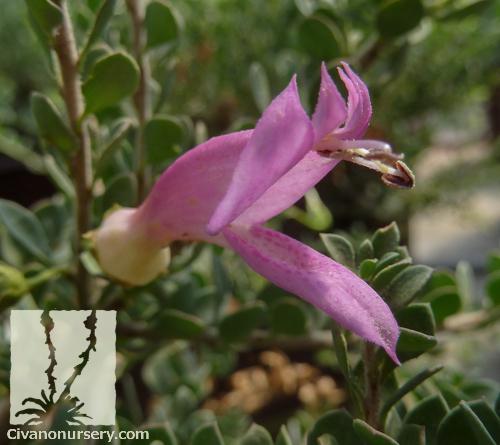 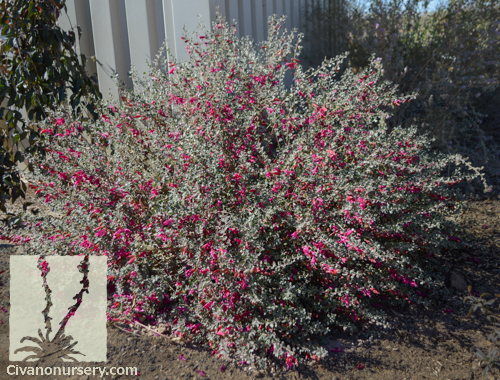 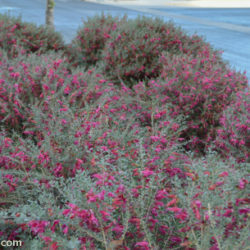 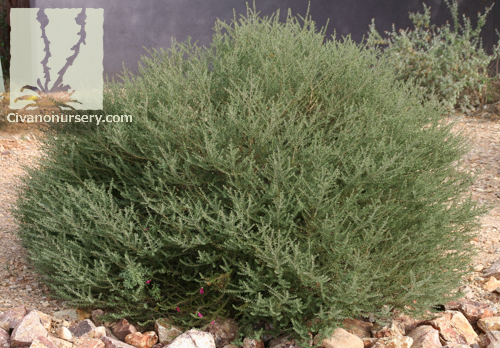 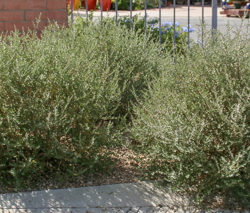 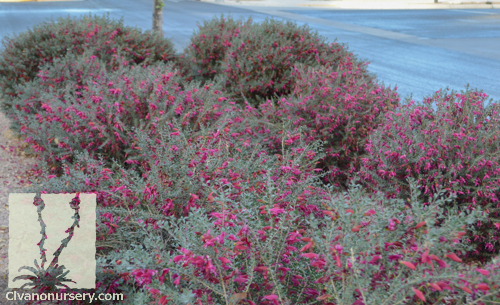 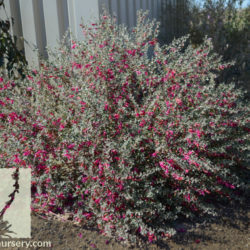 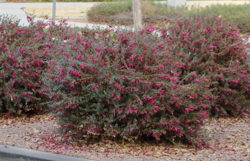 This rounded, evergreen shrub is an essential landscape addition for desert dwellers who yearn for flashy color in the dead of winter. 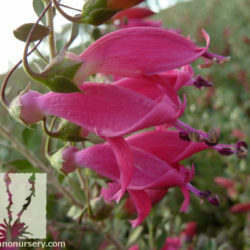 Lower temperatures bring on masses of fuchsia to deep red tubular flowers from January to March, and the plant’s foliage, which is usually deep green, takes on a lovely reddish-purple hue. 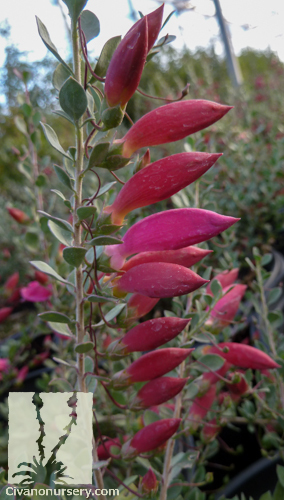 As an Australian native, Valentine Emu Bush is no stranger to heat, sun or drought, so when its done wowing you in the winter, it remains attractive and vigorous in the landscape for the rest of the year.